Recently, with the introduction of Angular 2, you may have heard a lot of discussions and read many articles comparing Angular to React. Comparing the two can be confusing and it’s important to understand the basics of each before making a decision on which to use for a project. To start off I want to simply state: Angular is a framework and React is a library. Let’s talk about the meaning of those words first, before we dive into the differences. Again, it’s important to reiterate that, yes, Angular is a framework and React is a library. Comparing React to Angular (any version) is like comparing apples to oranges. Angular is designed as a front-end framework. React is a library and much less intrusive in terms of the features offered. While these difference may seem to make a comparison between the two somewhat challenging to conduct, there are enough similarities between the two to drive a good discussion on the advantages and disadvantages of each. This second version adds many improvements that were introduced in Angular 1. Angular is more oriented towards creating reusable front-end components. This is possible thanks to the reliance on $scope and controllers. The directives are simplified, making Angular 2 code more readable and concise when compared to Angular 1.x. Also, Angular 2 is intended to be used with TypeScript, with the idea of removing the enforcement of type safety. As I said before, comparing is difficult, but let’s look at some things that can help to define what’s better for us or our team. Angular 2: The team of Angular opted to focus on the framework and left the vendors to supply this functionally. React: On the other hand, React Native is a framework designed to translate React code into a native application experience. This adds significant performance improvements over more traditional hybrid web apps. One of the biggest differences between Angular 2 and React is the size of the js files. This is mostly due to the fact that React is just the frame until you beef it up with some libraries, while Angular 2 comes with much more to work with off the bat. Even with suggested libraries added to React, it is still almost 4 times smaller than Angular 2. Gorilla Logic hires only the best software engineers. 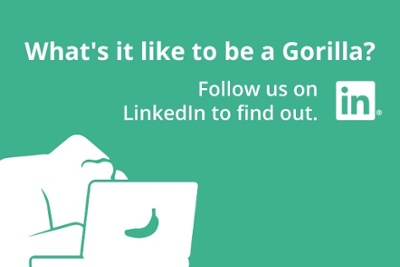 Think you have what it takes to be a Gorilla? Check out our careers section and follow us out on linkedin. Straight to the point comparison! I needed something like this! Thanks you for read it.